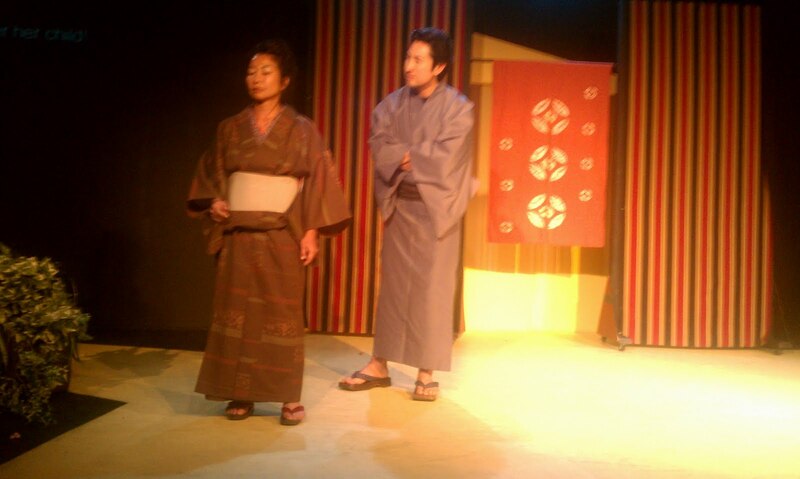 Japanese Theater has had a long renowned tradition of rich classical tales and powerful dramatic performances. For most people living outside of Japan, attending such cultural treats is rare and often not so widely promoted even in areas where a large Japanese-American community exists. 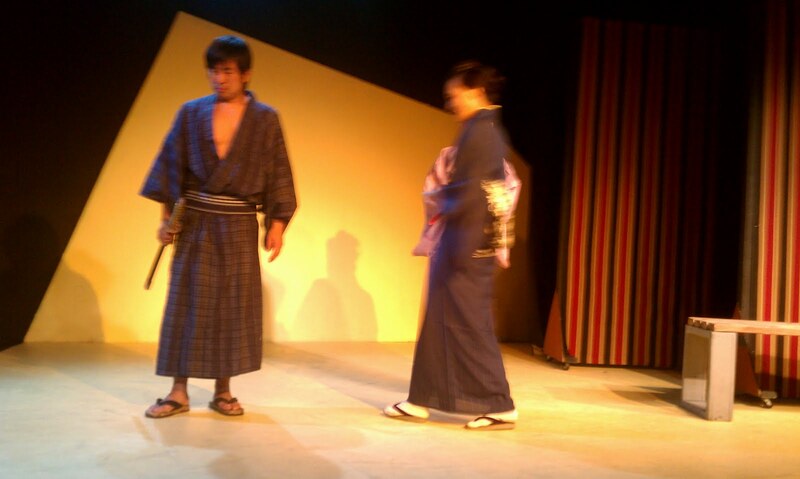 But for those who are fortunate enough to discover such performances taking place, they are not to be missed and certainly Arigato Kai’s production of Matuba no Haha (Memory of Mother) was no exception. 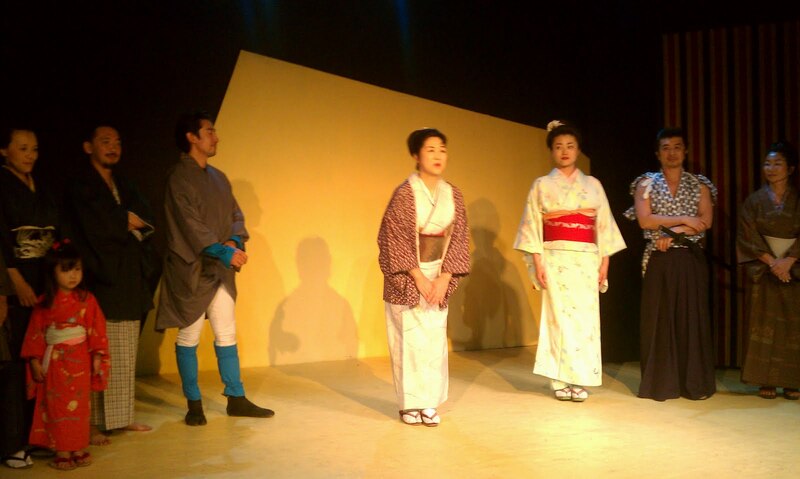 Founded here in Los Angeles just over two years ago, Arigato Kai has brought together talents from both Japan and here in the US to produce and perform powerful plays and memorable performances. One could not have possibly prepared us for the Mother’s Day performance of Matuba no Haha. 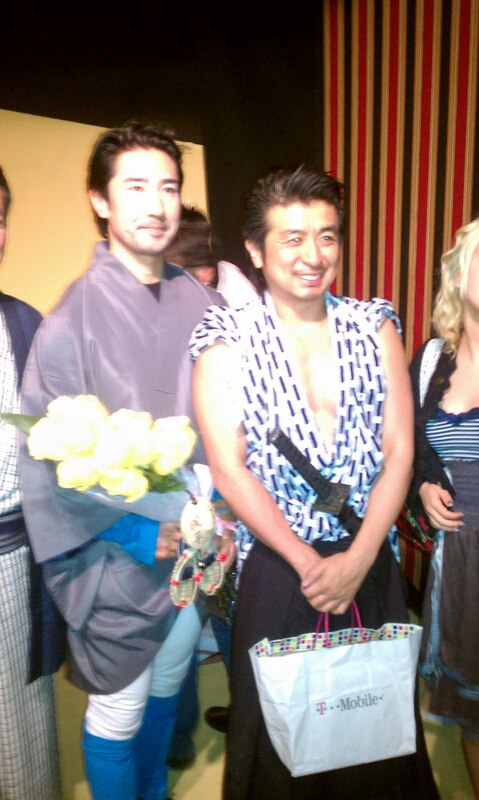 Performed entirely in Japanese with English subtitles for us American-Jin, Memory of Mother played out to a sold out performance at the Rose Theater in North Hollywood leaving no dry eyes in the house. 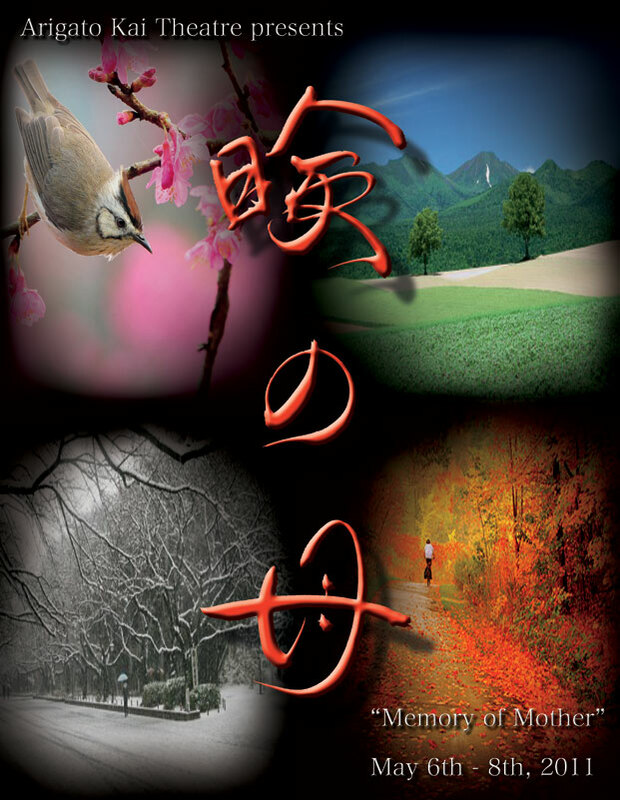 Set in the Edo Period, this play directed by Kaz Matamura follows the quest of lone Yakuza named Chutaro (played by Yoshi Ando of Good Soil and Letters from Iwo Jima fame) to find his long lost mother. Orphaned at a young age, Chutaro carries with him the faint memories of a mother who had left his father for Edo at the age of five. We do not know much beyond this point in his life other than what is revealed to be his earnings of 100ryo which he has saved from his exploits in the Yakuza for which he planned to give to his mother should she be of need. Along the way to Edo he encounters a misfortunate friend named Hanji (played by Yoshitomo Kaneda of Letters from Iwo Jima fame) who has left the Yakuza and is now in hiding from the thugs of a rival boss seeking revenge for an earlier Yakuza killing. Chutaro see’s Hanji’s unfortunate desperate situation and is moved by the man’s mother’s determination to see to his well being. Chutaro is moved by the love for her unlucky son and quickly comes to his defense. He leaves the man’s family after a duel in which he slays the rival Yakuza and thanks the mother for her loyalty to her son. His admiration expresses his longing for the longing for his ideal of what he hopes to find in his mother for which he will continue on his journey to Edo to reunite with her. Along his journey, Chutaro encounters other old women in Edo over the following year. He performs good deeds and pays respect to these old ladies who have long lost their sons. And in by doing so restore hope by his acts of kindness winning him admiration along the way. It is by chance that one of these old ladies who is an aging prostitute knows of such a woman that could very well be a match for his mother. It is the rich and powerful teahouse owner Ohama (played by legendary stage actress from Japan Sayoko Shirotami) who by now has many employees and a fully grown daughter named Otose (played by Kazumi Zatkin of Good Soil and other films with co-starring Yoshi Ando). After much persuasion, Chutaro is granted an audience with Ohama but despite being of the correct age and being from his home in Banba and even admitting to having a son named Chutaro, she suspects him to be an imposter looking to take her business. Rejected, Chutaro is devastated. All of his hopes and dreams are now gone. He has seen that Ohama is living a life of luxury and has no need of his 100ryo but chooses in an all too classical Japanese gesture of leaving his coin purse behind. This action moves Otose and it becomes painfully clear that Chutaro is indeed her long lost son who she had convinced herself that he had died long ago. Both Ohama’s servants and Otose recognize Chutaro’s likeness to Ohama as possibly being a potential lost family member. Together they convince Ohama that Chutaro is truly her lost son she abandoned when she left Chutaro’s father many years ago. Ashamed, Ohama loses her stoic arrogance and breaks down in tears. All is brought to bear but is brought full circle by the comforting kind words of Otose for her long lost brother and her appreciation for all that her mother has provided her. Accepting Ohama’s new reality, Ohama flies into a panic to chase after Chutaro but by now he is long gone. Complicating matters, Ohama’s men having assumed Chutaro to be a troublemaker or a beggar have hired a down and out Samurai Tobata (played by Yoshitomo Kaneda) to dispatch him. Ohama joined by her daughter Otose races to find Chutaro before it is too late. Mutaba no Haha lived up to every expectation of Japanese theater and raised the bar to new heights in dramatic performances. 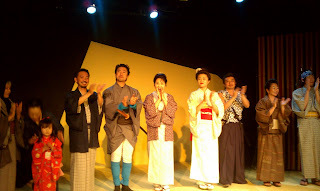 The all Japanese cast included Yoshi Ando, Yoshitomo Kaneda, Mina Oba, Mie Aso, Yoshi Murakami, Kazumi Zatkin, Akiko Katagiri, Mai Kobayashi, Sachiko Mori, and others including and not to say the least the legendary Sayoko Shirotani who flew in from Japan just to play in this production. Toshiro Mifune’s influence could be seen in Yoshi Ando’s performance with elements of Sanjuro and the deep expressiveness of Hiroyuki Sanada as Seibei in Twilight Samurai. 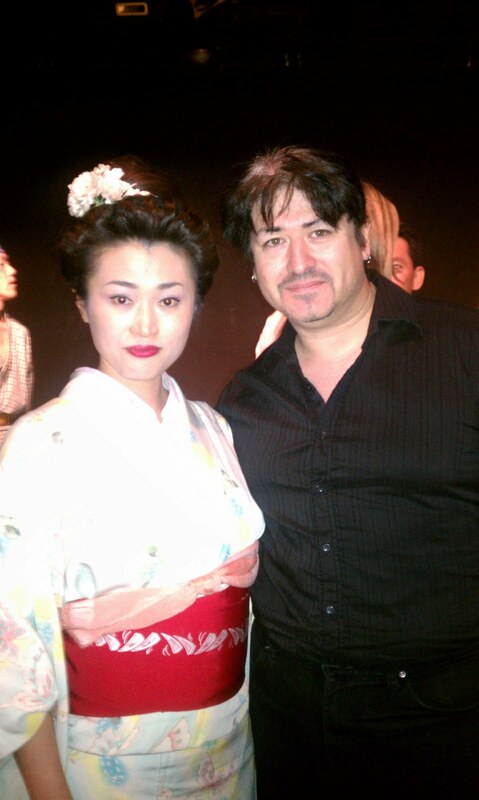 I am very honored to call my old fellow Shinkendoka Mr. Ando my friend. I recommend you watch his career with great interest. 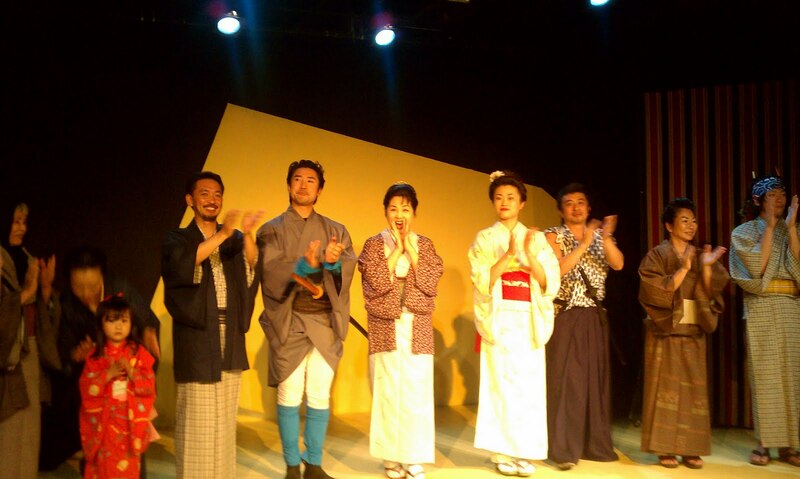 Arigato Kai has worked hard to bring Japanese theater to American audiences. As I explained to Yoshi Ando that this should not be looked upon as the most arduous task for American audiences who already like Japanese Theater either know Nihongo or are comfortable with subtitles. 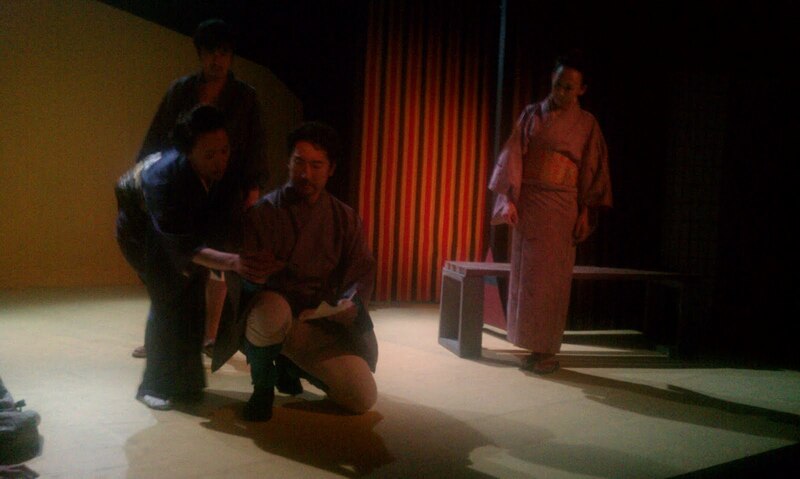 In any case any American with a thirst for good theater will appreciate the hard work of the cast and crew of Arigato Kai and we at American Mishima believe you will too!